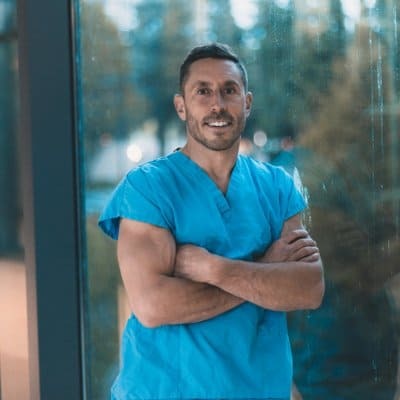 In today’s interview, I get to speak with functional medicine practitioner, Dr Paul Saladino, about his perspective on a nose-to-tail carnivore diet. Paul is very passionate about understanding and treating the root cause of disease, not merely relying on medication to manage symptoms. He believes many of the chronic diseases we see today have common underlying issues and nutrition plays a key role in our overall wellbeing. Today, we get a chance to talk about why the nose-to-tail carnivore diet has been successful in correcting persistent health problems in certain people. If you know someone who is interested in learning more about the importance of the nose-to-tail food nutrient sources approach from a functional medicine perspective, this interview is for them. I really enjoyed this interview with Paul as he brings a new perspective to the world of functional medicine. The carnivore diet is not often talked about in functional medicine, but Paul explains why, if done correctly, the diet offers another tool in improving health and wellbeing. Especially for people, who have long struggled in finding a solution their health problems. Special thanks to Paul for joining me on the show. Enjoy the episode! To find out more follow Paul on Twitter, Instagram or visit his website, Paul Saladino MD. [00:19] – Introducing, Dr. Paul Saladino who obtained his MD from the University of Arizona and is a certified functional medicine practitioner. At the Center for Integrative Medicine he has studied with physicians like Dr. Andrew Weil. [01:27] – Why Paul was interested in carnivorous and all-meat diets from a functional medicine perspective, and what exactly is the distinction between the two? He explained it first sparked an interested as it was resulting in healing in some populations. He also points out there are multiple types of diets that have been helpful for different conditions. [03:41] – The main thing functional medicine seeks to mitigate is inflammation, which seems to be the root cause of a majority of diseases we see today. What we eat is a big part of this and certain plants could be a trigger for some people. [06:17] – Do we need to do a plant based diet to ‘detoxify’ or is eating animal foods nose-to-tail actually less ‘toxic’ (provided we prepare them correctly) and easier to digest? [07:46] – An animal based elimination diet is a good option. Paul explains why he would put his autoimmune patients on this type of diet over the plant based option. Nose-to-tail is fine to do long-term, but meat and water is not. [10:00] – Paul explains it would be great to do a hierarchy of plant foods that are more or less triggering. Generally, grains, seeds, nuts and beans (basically all seeds) are the most triggering, followed by sprouts and nightshades. Fruits are the least problematic, relatively speaking. [Biohackers Lab Tip: Listen to Dr Paul Mason on the potential issue of eating plant lectins in our diet] [14:28] – Most problems seem to start in the gut and Paul explains the work Dr. Zsofia Clemens have done in this area with the paleolithic ketogenic diet (PKD). [Biohackers Lab Tip: We’ve talked about the leaky gut/intestinal permeability with Dr. Zsofia Clemens in a previous episode] [15:11] – Paul explains what the important elements we need to incorporate in a nose-to-tail type carnivore diet are. To get enough essential vitamins and minerals and avoid deficiencies long-term we need organ meats and connective tissue in addition to the muscle meat. [18:08] – Paul explains it takes 2-3 years to develop nutritional deficiencies, so most people can sustain almost any diet for this amount of time. He worries in the coming years we will start seeing certain people on the carnivore diet run into problems. [20:24] – Copper deficiencies looks the same clinically as B12 deficiencies. Paul explains why if we are supplementing zinc we should be supplementing copper also and why eating the whole animal tends to result in good ratios of the things we need. [23:04] – A plant based diet needs a lot of supplementation and a lot more consideration about how the diet is constructed. [Biohackers Lab Tip: Listen to Dr Will Cole ketotarian diet and Dr Carrie Diulus keto vegan diet and how they manage a healthy plant based diet nutrition needs] [24:02] – Paul explains how in terms of mainstream medicine diet is currently not used as a tool for helping psychiatric patients. He recommends ketogenic/low carb diets to his patients as an aside. There are a lot of reports of improvement in mental health with these types of diets. [27:44] – How do omega-3/omega-6 ratios affect mood and brain function. The source of these fats is also important and what we generally see is that wild and pasture raised animal foods have a higher ratio of omega-3 to omega-6 and vice versa for grain fed. [29:19] – Paul also explains a lot of people don’t get enough omega-3 and that it’s important to have a good source of omega-3 in the diet and not just in omega 3 supplements. Good sources would include the brain, seafood and eggs; salmon roe being Paul’s favourite. [33:14] – Paul recommends people eat organ meat and an omega-3 source every week. Also, getting your blood work checked and making sure they are getting enough nutrients. [34:11] – Some people brought up an issue of dry skin on a carnivore diet. Paul explains this indicates there might be some type of deficiency; maybe riboflavin or folate. [35:40] – Paul explain why collagen is so important. There is a balance we have to consider; muscle is very high in methionine yet there is very little glycine and this is where collagen comes in. How does the excess methionine affect ageing and longevity? [39:24] – Testing for excess methionine can be quite complicated, but there are companies like Genova that can test your amino acid profiles. Paul explains what test we can do to see if we are glycine deficient. [41:44] – Iodine is another big topic. Animal based diet is a good option for people with thyroid issues too. They just have to think about where the iodine is coming from and make sure they are getting enough. Muscle meat is not a good source but egg yolks and seafood are. [44:14] – Is it possible to get rid of thyroid medication with the right diet? Paul explains it depends on the cause of the condition. [45:23] – Paul explains what sulforaphane is and how it might be detrimental to us. Also, how some plant molecules could be wreaking collateral damage in our bodies and we should be careful with certain supplements. [49:53] – There is a fear of animal proteins when it comes to longevity. Paul is interested in bringing a different perspective to the conversation. He believes the key to longevity is simpler (and less lucrative to companies) as we are making it out to be; occasional ketosis, glycine balance, sunshine, community, exercise are probably where the focus should be. [51:05] – Protein to fat ratio is another important issue. Paul explains it comes down to body composition goals. Without fat (or carbs) our bodies don’t have fuel; for weight loss we can eat less fat but for maintenance and performance it needs to be roughly 50:50 ratio fat to protein. [54:50] – Paul explains that the problem with going too high in fat (which can be a problem with ketogenic diets) is that fat doesn’t contain a lot of micronutrients. Too much fat can result in certain nutrient deficiencies. [57:37] – Paul talks vitamin A and vitamin C deficiencies and why it is not a problem when eating nose-to-tail. It is also interesting that certain supplements have the potential to cause an undesirable reaction in some people. [1:02:51] – To keep in touch and follow Paul, he has a website where people can learn more about him on his paulsaladinomd.com website. For people wanting to work with him directly (he consults patients virtually) he recommends emailing him at: [email protected] and he also has instagram @paulsaladinomd and twitter @mdsaladino pages.